The liver is a wonderful thing. It goes great on crackers and it can keep your blood from becoming septic. But it’s almost impossible to operate on that strange, fleshy mass without a little luck and a lot of preparation. Luckily there’s now a better way to prepare. 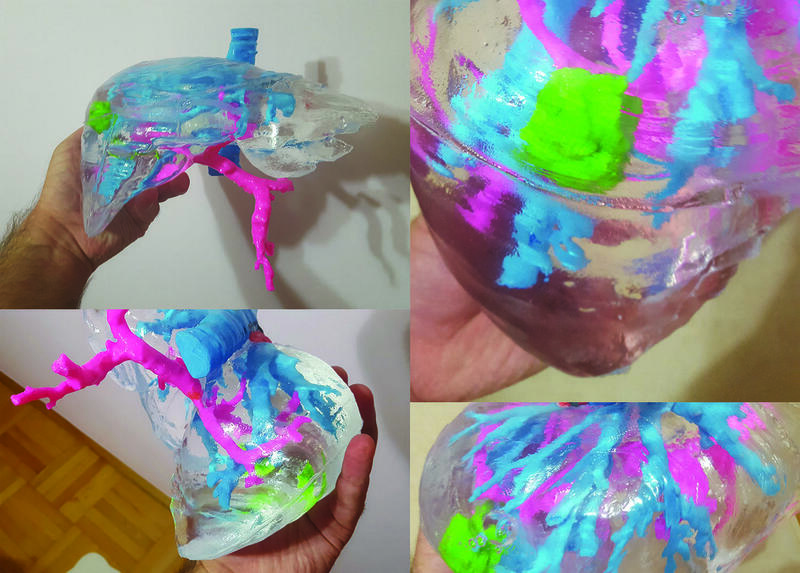 For the past few months a medical student at the Jagiellonian University Medical College in Krakow, Poland, Jan Witowski, has been producing 3D-printed models of livers for doctors, enabling them to see and prepare for every eventuality before operating. He’s written a paper on the process and you can see some of his models below. This model is actually of a particularly nasty tumor inside a liver. Witwoski 3D prints the liver models with some of the internal circulatory systems visible, as well as any potential problems the surgeons might face. Making it easier for surgeons to extricate the tumor. Witkowski gets CT scans and creates stereolithography lithography models that he prints with PLA filament on a standard 3D printer. He builds a “liver parenchyma scaffold” and then pours in a silicone material that lets surgeons see inside the liver as well as understand its mass and shape. “3D-printed models offer great visualization of patient’s anatomy spatial relationships. It is easier to realize the size of a tumor and its proximity to surrounding vessels and liver margins. Another aspect is the possibility to ‘feel the model’ – being table to touch it takes the experience of planning the surgery to another level, and makes physical models more realistic than traditional virtually rendered visualizations,” he said. So next time your liver roars at you for having one too many Mai Tai’s remember that Witkowski may one day literally have (or make a model of) your back.